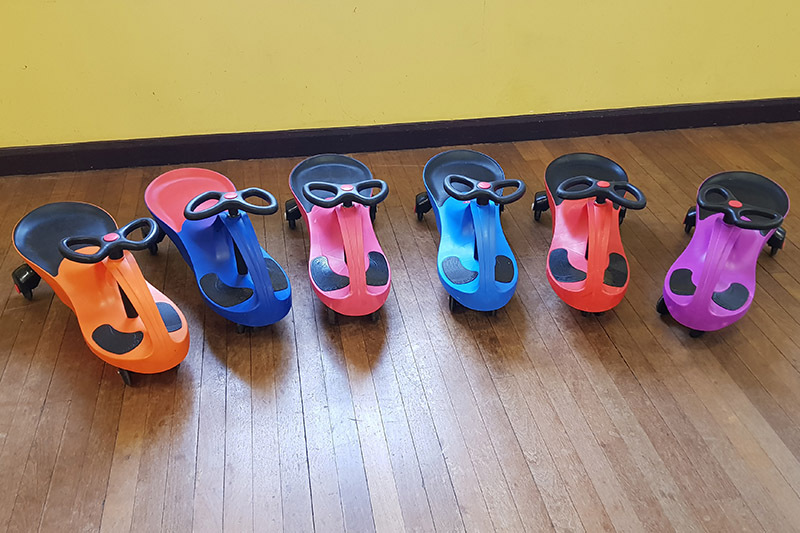 Didi Cars are great fun and brilliant exercise too. You won't believe how much children love these cars until you see them all in action. All along they are developing their coordination and balance while having so much fun. Just lift your feet onto the footrests and move the steering wheel from left to right and you will start moving forward. To move faster simply lean forward, it's as easy as that. 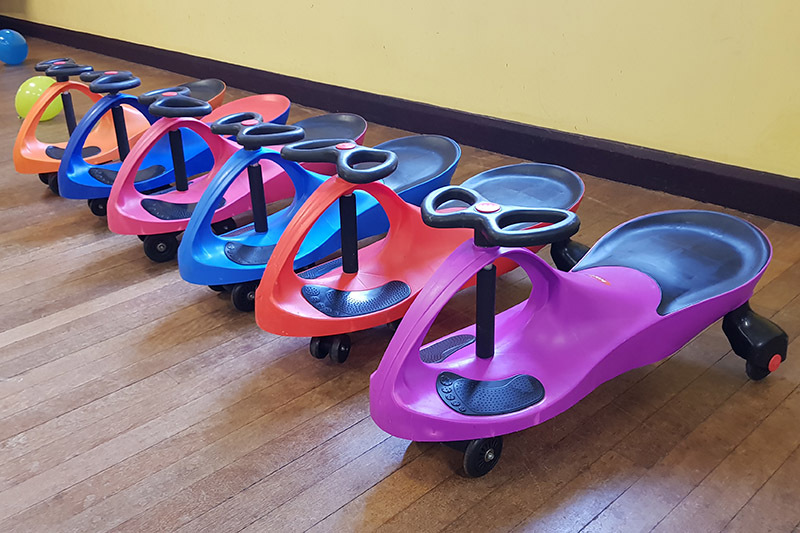 The Didi Cars come as a set of 6 and can be used by Children and Adults. Why not book Didi Cars as well as our Emergency Hopperz.